Ever Happened In A Closet. One of the coolest gifts I believe we can give each other is the kickass gift of inspiration. 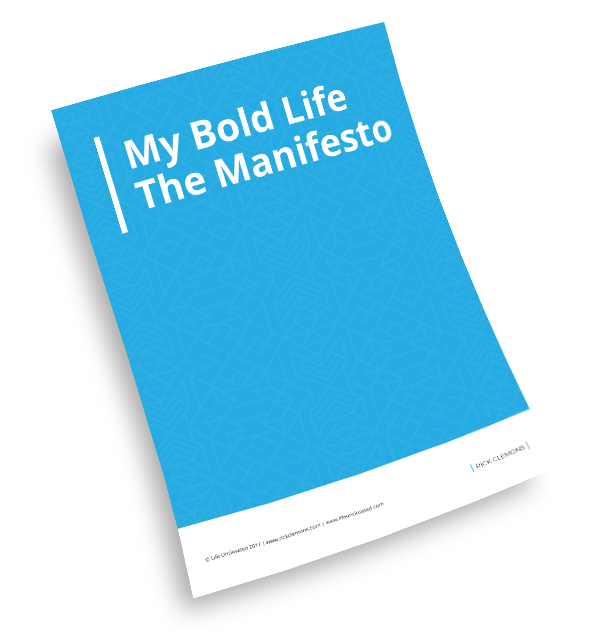 From my heart and soul to yours, I’m gifting you a free copy of My Bold Life, The Manifesto. It's not Shakespeare but I think it will shake you up and wake you up to become more curious, give you a dose of courage to make a bold move, fire up your damn confidence, and open up the flood gates of commitment to daily live your life uncloseted.